This wildlife viewing trail extends over 2 miles in Lee Metcalf National Wildlife Refuge (NWR), one of the largest publicly owned riparian properties in the Bitterroot Valley. National Wildlife Refuges are singular in mission-- the preservation of native plant and animal life for the benefit of present and future generations of Americans. On Refuges these benefits accrue in the form of the following allowed activities: wildlife observation, photography, environmental education, and interpretation. The refuge hosts approximately 150,000 people each year; and the trail is an integral part of the visitor experience. 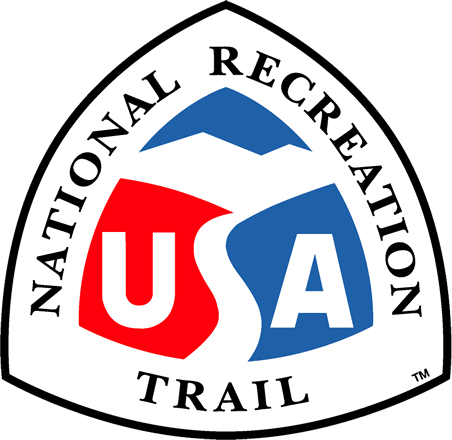 Trail users enjoy a variety of outdoor activities, including wildlife observation, snowshoeing, and fishing. This scenic trail will eventually serve as a trailhead for the Bitterroot Birding and Nature Trail, the first trail of its kind in Montana. The Wildlife Viewing Trail incorporates all the allowed activities while passing through all representative habitats on the Refuge. Lee Metcalf NWR is one of the largest publicly owned riparian properties in the Bitterroot Valley. Some 80% of Montana's birds use this particular habitat for nesting. As evidence of its uniqueness, the Refuge averages about 150,000 visitors per year using both the Wildlilfe Viewing Trail and the adjacent Auto Tour Route. Beyond biological significance, the refuge and the trail are part of Stevensville, the first European settlement in Montana. Lewis and Clark also passed Refuge properties on their trek up and down the Bitterroot Valley. Bald Eagle in flight. Photo by Kimi Smith. Sandhill Crane. Photo by Kimi Smith. Hooded Merganser. Photo by Kimi Smith. Cinnamon Teal. Photo by Kimi Smith. Avocets. Photo by Kimi Smith. Canadian Goose and goslings. Photo by Kimi Smith. Mama badger and cubs. Photo by Kimi Smith. Play time! Photo by Kimi Smith. Porcupine. Photo by Kimi Smith. Great Horned Owl. Photo by Kimi Smith. Bald Eagle beauty! Photo by Kimi Smith. Osprey - what site it sees! Photo by Kimi Smith. Bull Moose. Photo by Kimi Smith. First snowfall. Photo by Kimi Smith. Woodchuck. Photo by Kimi Smith. Pine Tree Squirrel. Photo by Kimi Smith. Spotted Sandpiper chick. Photo by Kimi Smith. Red-Naped Sapsucker and NRT sign. Photo by Kimi Smith. Bucks in the meadow. Photo by Kimi Smith.